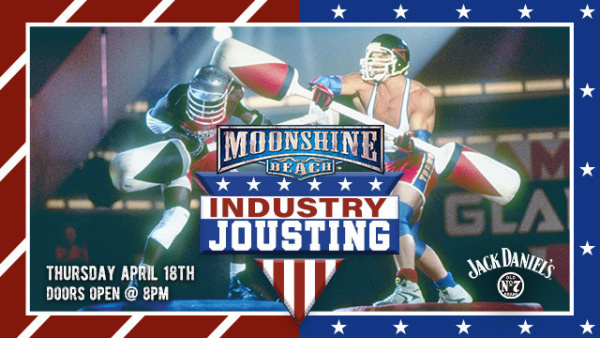 Our next Industry Jousting Event returns on Thursday, APRIL 18th! BIGGER, BADDER AND BETTER than ever. Watch gladiators from your favorite bars throw down in the ring! The top two gladiators will take home $300 in prizes each. Cheer on your favorite bar and sip on $5 Jack Daniel's Specials and $3 select Beer.